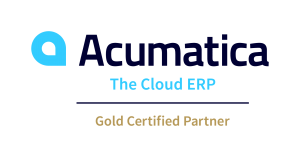 Acumatica Cloud ERP is a fully integrated cloud and mobile solution that provides you with real-time insight to make smart decisions with Financial, Distribution, Professional Services and Projects, Customer and Manufacturing Management. Our Stratotech Partners team helps you successfully evaluate and implement this leading cloud ERP solution to help solve your challenges and meet your growth goals. The entire Acumatica Cloud ERP solution empowers you to grow with a Software as a Service (SaaS) model with unlimited users licensing at an affordable cost of entry. You only pay for the functionality you need and expand as your business grows. The core of Acumatica ERP is the Financial Suite which includes what you need to quickly close your books and report your financial results. Distributors need to keep enough of the right product on hand to meet customer demands while not tying up excessive amounts of cash. Acumatica ERP Project Accounting enables users to set up projects whether they internally or externally focused and manage those projects via tasks. Sales teams need to capture all their communications from email activity, keep records of phone calls and schedule meetings. The Acumatica Manufacturing Edition solution provides a capability rich manufacturing management suite designed to meet such requirements. Improve your ability to respond to service calls with dispatching, scheduling and mobile capabilities with the Acumatica Field Service Edition. The Acumatica Business Intelligence, Reporting and Data Analysis tools provide you with greater insight into your business with data that you can customize and view real-time. An integrated eCommerce solution like Acumatica Commerce Edition helps streamline orders, increase customer satisfaction and expand into new markets. ISVs provide you with solutions that enhance the robust capabilities of Acumatica to help meet the unique requirements of your business. Acumatica ERP along with numerous ISV solutions is tailored to support business requirements of many specific industries. We can assist you in determining the applications necessary for your company and industry. Take the first step and contact us today!